THIS EVENT IS CANCELED DUE TO THE WEATHER. STAY DRY! Join us for our first annual Trunk or Treat. 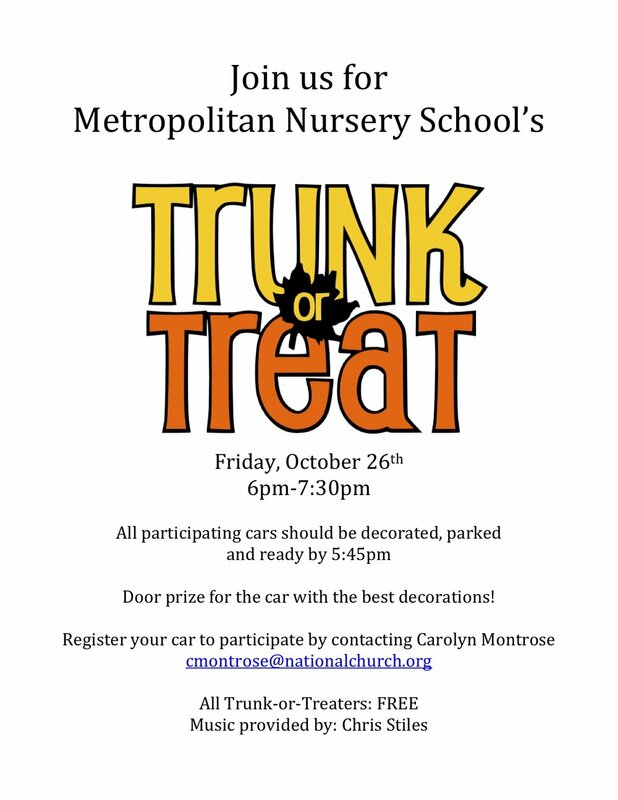 Reserve a parking spot for your car and decorate a trunk by emailing Carolyn Montrose. Cars should be parked and decorated by 5:45 pm. Trunk or Treating for the children will be from 6:00 pm - 7:30 pm. WE WILL MAKE A DECISION BY NOON ON 11/26 ON WEATHER TO CANCEL DUE TO WEATHER.